As far as double meanings go, I think The God Complex pretty much nails it. Not only do you have the introduction of the newest creepy Who phrase, “Praise Him” (still nowhere near as creepy as both, “Are you my mummy” or “Who turned out the Lights”), but The Doctor pushes Amy to believe that having faith in him as some sort of God is wrong. And in that, saving her life… again. Fanboys and fangirls, I bring you The God Complex. Yet another great installment of Who. I know you may be sick of me saying how much I love all the episodes, but I just simply do. This episode was written by Toby Whitehouse (Being Human writer, and Who episodes School Reunion and The Vampires of Venice), which may explain some of its inherent genius. The Doctor and companions arrive in what seems like a classic 1980’s Hotel full with cassette tape recorders and clear homages to The Shining. 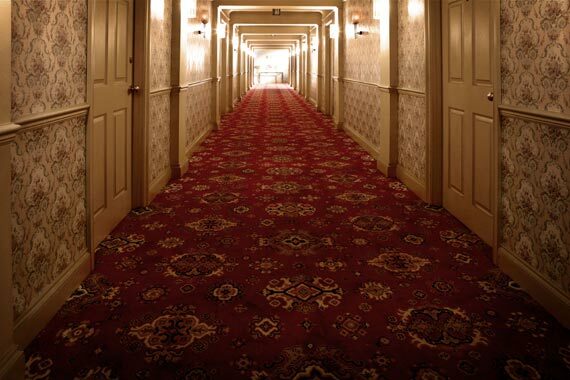 Red Rum, anyone? The concept of every room actually housing your deepest darkest fears, though? Yeah, that goes beyond anything I’ve ever found lurking in the corners of a hotel room. Then we meet our Hotel visitors and find out what’s really going on. And, Rita, brilliant, could definitely be a future companion, Rita. There’s nerdy guy – I can’t remember his name, and Gibbis, who I remember because he was introduced in one of the best ways Who does. I absolutely love it when The Doctor so casually calls out another alien race and their background with no real significance. 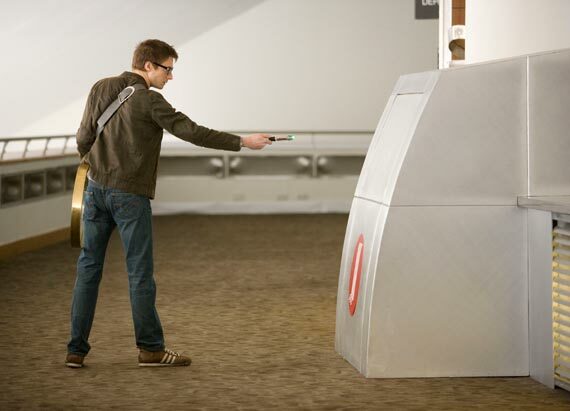 Again, this reminds us of how vast the Whoniverse is and how little we actually know about it. The fact that Gibbis is from Tivoli, a planet that is the most conquered in the Universe and a species that really could have come right out of Douglas Adam’s own mind, is brilliant. Even funnier is that he works in town planning, where he was in charge of a project to line the streets with trees so invading armies would have shade. Nice. But I digress, let’s get back to the meat of the epi. First we meet Joe (?) who is surrounded by a roomful of dummies. This elevated the creep factor for me. When they walked into that ballroom and every single dummy stopped and turned at them. (shivers). But then Joe is off about how he’s found enlightenment and starts saying “Praise Him”, the story starts to unfold. As it turns out, they’ve been brought to Hotel Creepy As Hell to face their worst fears, which drives them to rely on their faith, which then leaves people worshiping ‘him’, then be ultimately ‘eaten’ by ‘him’ before leaving them in a worst state than they started… namely, dead. So it all comes down to faith. 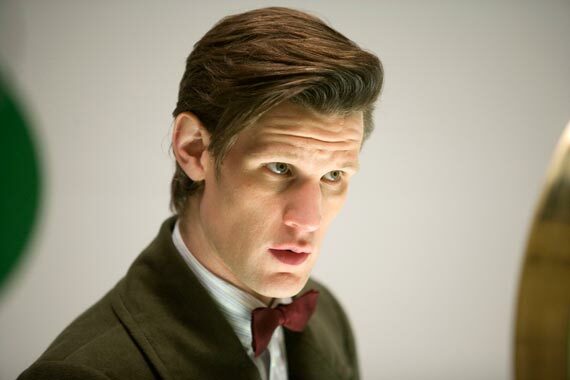 And in order for The Doctor to save Amy, he has to break her faith in him. (The Curse of Fenric, anyone?) This speech with Amy, again brings up the emotion that the last few episodes have been driven to and it breaks your heart. Especially with the shadow of Little Amy in the background. Forget your faith in me. I took you with me because I was vain. Because I wanted to be adored. Look at you. Glorious Pond. 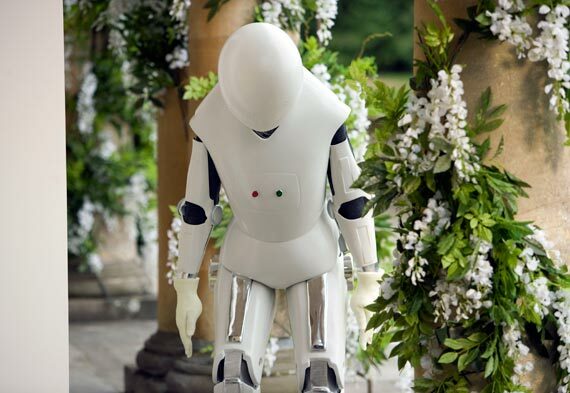 The girl who waited for me. I’m not a hero. 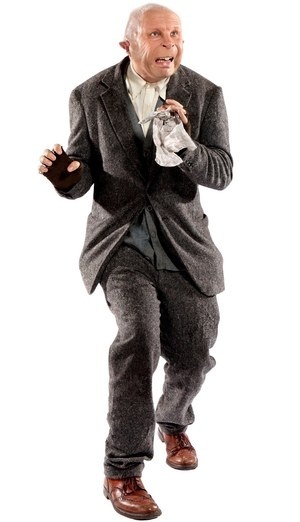 I really am just a madman in a box. It’s time we saw each other as we really are. Amy Williams, it’s time to stop waiting. And then we get the end that I honestly was not expecting. It seems that all his talk to Amy about losing faith in him reminds him that he wants to protect her and so he drops them off at their new home with a new car for Rory and says his goodbyes. Yeah right…. like that’s going to end it. I will say that I can see The Doctor’s point of view, but after all that emotion, the drop off was a let down of sorts, no? Clearly this is where we leave them until they receive the blue postcards in the first episode? Theory. Well, fact, I think. I give this episode an 8 out of 10. It had creepiness, emotion, pushed the story along a bit and well, a bit of homage on several levels. Two episodes left until the wedding of the year and we get the answers we’ve been waiting for. Cannot wait. Doctor Who returns on Saturday September 24th with Closing Time at 9:00 PM on BBC America. 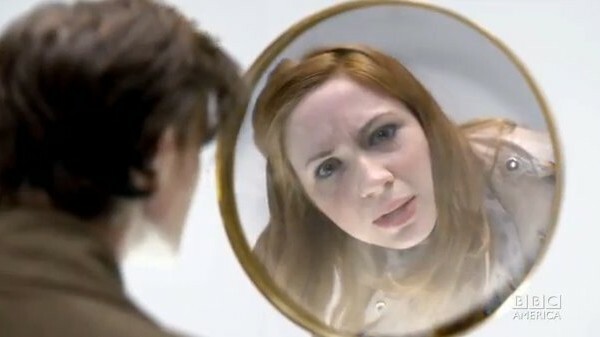 Saturday’s Doctor Who episode is titled The Girl Who Waited, which gets this fangirl super stoked. As the writer, Tom MacRae puts it – “This is the one fans of Amy and Rory have been waiting for.” So, that’s all of us, right? 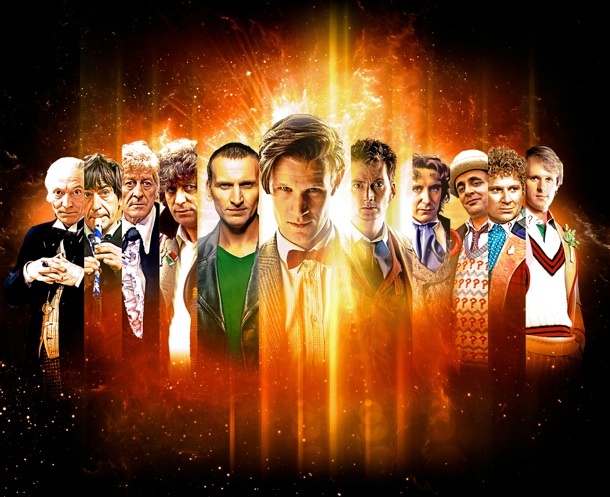 So, how about you Whovians? As excited about this episode or are you ready to get back to figuring out who that Impossible Astronaut is? 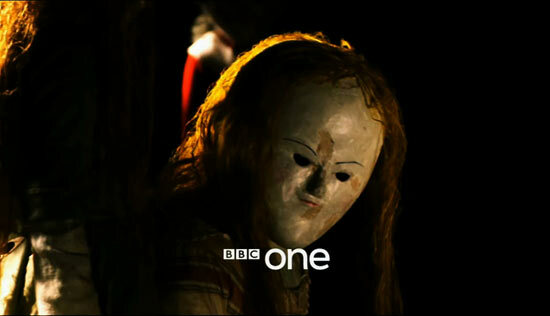 The next Doctor Who episode airs Saturday September 10th at 9:00 PM on BBC America with The Girl Who Waited. When I said that I suspected that this episode would be one of those ‘hiding my eyes behind a pillow’ episodes, I think I was dead on. 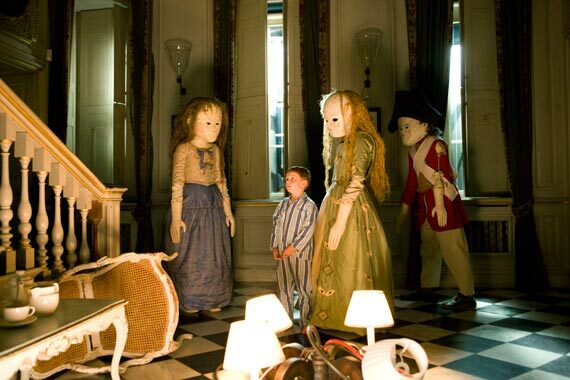 Oh, and dolls are creepy, very creepy, especially when they are life sized and have no eyes. 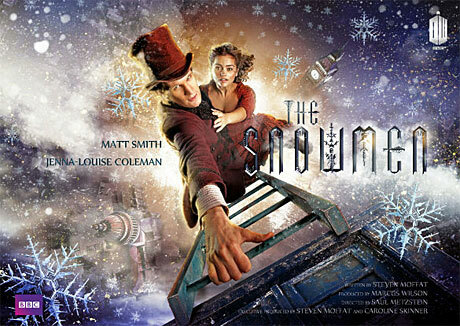 First, let me say that I truly think that this was a classic Doctor Who standalone episode. I love when we get these ‘alien of the week episodes’ because it reminds me why I’m a Whovian to begin with. I hate when people call these episodes filler, because these are the heart of Doctor Who. 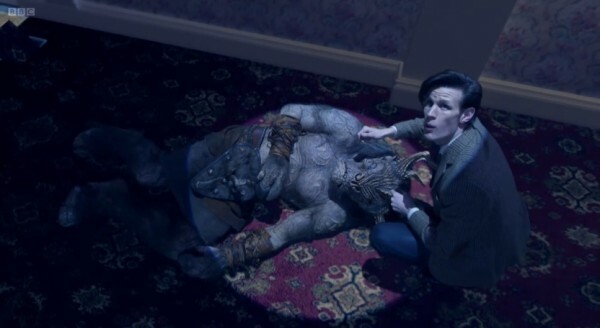 Don’t get me wrong I absolutely adore the overarching story lines that Moffat puts together and love to learn tidbits more each week, but these episodes are downright awesome. I mean, Vincent and The Doctor anyone? It also gives the audience a glimpse into The Doctor’s world and just how much more vast it is than we can actually imagine. I mean, we can barely fathom just how old his eyes really are. There are so many alien races in the Universe and we’ve only scratched the surface.. in 40+ years! What I loved best in this episode is the way that our scared little boy, er alien, George, experiences every piece of terror in his world. Seeing and hearing the old woman walk down the hall next to him was a monster. The sound of the lift whirling and wheezing with evilness and then shaking his whole room. Seeing his toys in the dark corners of his bedroom come to life in the shadows. No wonder he was scared! Watching this with my little guys (4, 6 and 9) was also pretty damn cool. I saw my 6 year old bring her hands to her face 3 separate times as she felt George’s terror with him. 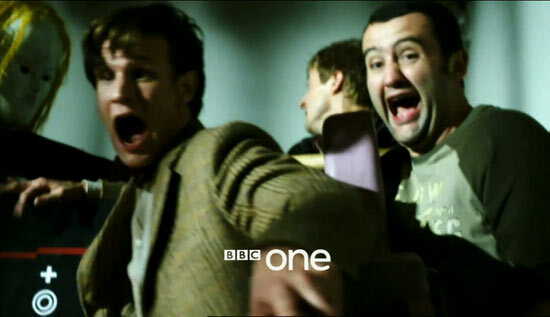 The scenes with The Doctor and Alex (George’s dad) were also well done. 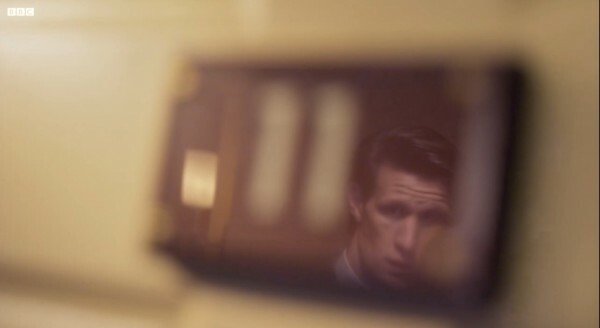 There are a few moments when The Doctor is genuinely scared and that draws the audience into his emotion. 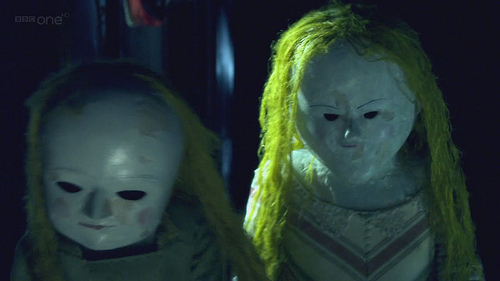 Watching Amy and Rory wander though the doll house added an extra level of creepiness, not to mention those dolls! The sound of the little girl laughing and asking them to play. Wow. 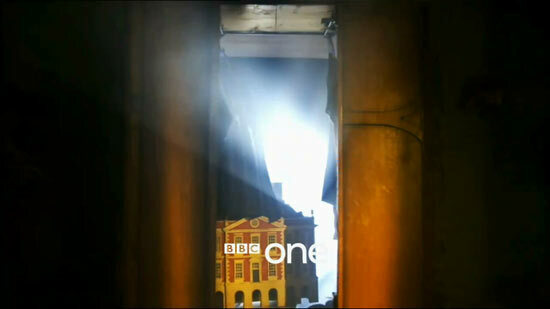 I will say that Mark Gatiss has redeemed himself in my eyes because of this episode. Oh and, Jammie Dodgers are our new Jelly Babies then? The revelation that George is actually a Tenza, an empathic alien who has essentially adopted Claire and Alex as his surrogate parents was pretty clever. The one complaint I have on this episode is the use of the Perception Filter yet again. While the concept of the Perception Filter is bloody brilliant, I can’t decide if Moffat and his writing staff overuse this or if it is just something that the audience can assume is a commonplace tool for aliens all over the Universe. I mean, it always works, but it’s seems to be an easy out. Amy: It’s just a dummy! Amy: Yeah, says the time-travelling nurse. Yeah, um let’s just leave that for now. Come on. 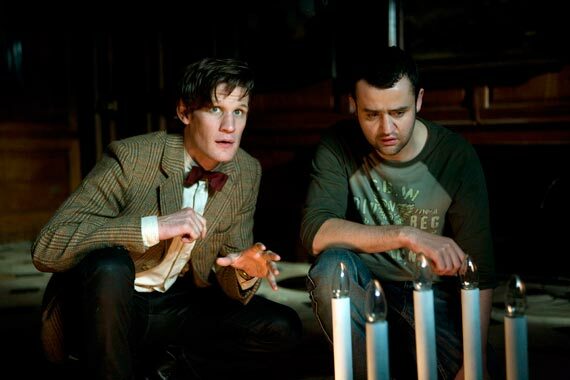 The upcoming episode of Doctor Who on Saturday night is titled “Night Terrors” and new pictures have been released. These are super creepy, which of course means awesome. The episode writer is Mark Gatiss, who wrote Victory Of The Daleks, which is not one of my fave episodes, but he is also a writer for Sherlock, which I love. That being said, the villains in this episode seem to be down right scary. Something about the doll in the corner coming to life to strangle you.. of course in classic Doctor Who fashion, I’m sure they’ll actually be some kind of good entity. Either way, I have a feeling this will be one of those ‘hiding my eyes behind a pillow’ episodes. 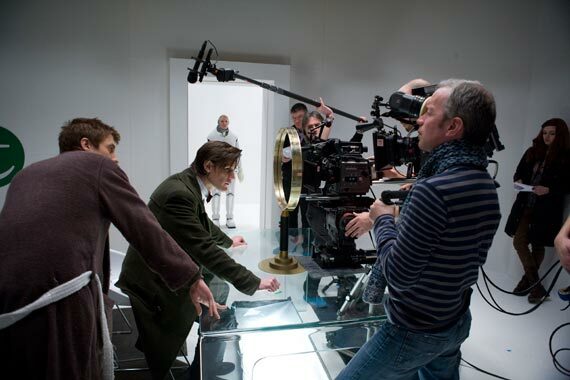 So, yeah, The Doctor looks genuinely scared. (getting chills) Like, I said, pillow over my eyes episode. 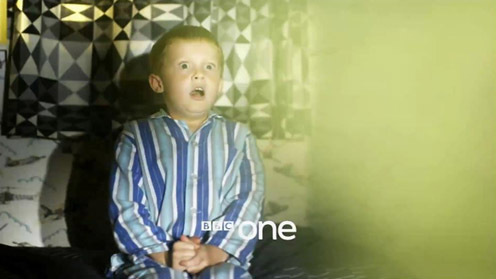 Doctor Who returns Saturday night at 9:00 PM on BBC America with “Night Terrors”.